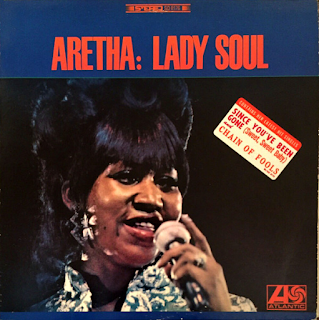 This album matches the soul brilliance of "I Never Loved A Man The Way I Loved You", and the material was just as strong, an inspired blend of covers and originals that proved Aretha Franklin was here to stay. 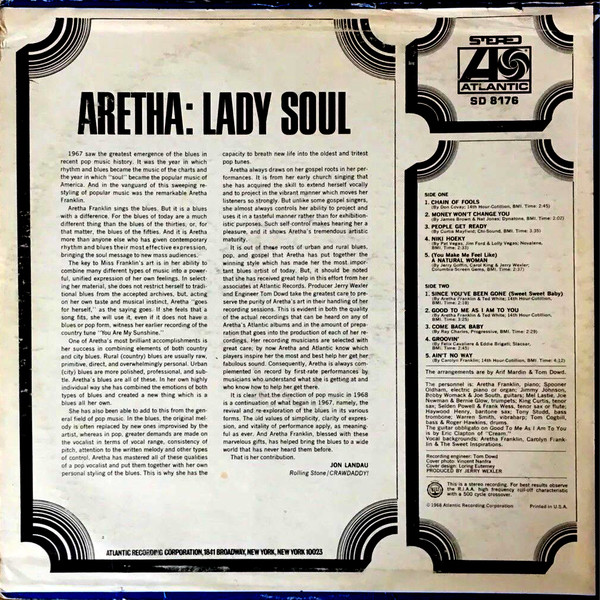 The opener, "Chain of Fools", became the biggest hit, with a superb soul vocal from Aretha and some sublime Joe South guitar. 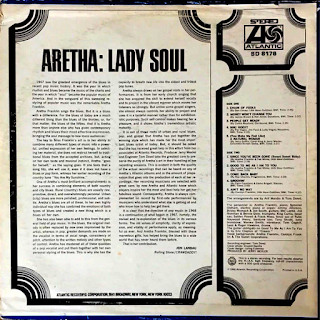 The album's leading light, though, was "(You Make Me Feel Like) A Natural Woman", a song written for her by Gerry Goffin and Carole King. It is simply one of the greatest soul records of all time. No question. Curtis Mayfield’s glorious gospel soul of “People Get Ready” is a real favourite of mine, while the strangely-titled “Niki Hoeky” is a swampy, bluesy groove. Franklin covers James Brown’s “Money Won’t Change You” impressively, with a frantic beat and rumbling bass line, and The Impressions on commanding backing vocals. "Since You've Been Gone (Sweet Sweet Baby)" has a punchy, Stax-style horn-driven beat. "Good To Me As I Am To You" is a blues-drenched ballad with once more a killer of a vocal. "Come Back Baby" is a lively, irresistible soul stomper that you can't keep still to. The vocal interplay between Franklin and The Impressions is breathtakingly good. Her take on The Young Rascals' "Groovin'" is as soulful as you would expect it to be. "Ain't No Way" is a classic, churchy, horn-driven slow soul classic to end on. Although I love Aretha's "The Atlantic Singles Collection" I have to say the stereo sound on this album is outstandingly good. As all sixties albums are, it is very short, but none the less brilliant for it. Quality soul.